If you already own Silva Screen's 2011 release Music from the Transformers Trilogy, this new collection give you exactly the same tracks, but with six additional pieces (29 min, 09 sec) from Age of Extinction and The Last Knight. So, in total, this new album contains 23 tracks (1 hr, 30 min, 59 sec). So, forgive me if I reuse quite a lot of my review from the previous release. I've been a fan of Jablonsky's since I saw the movie Steamboy, and while I did enjoy the music he composed for the Transformers movies, I couldn't help feeling that it all sounded a little too much like a Zimmer score - in fact there are segments that sound like they are paying homage to Zimmer's work on Gladiator. Nowhere is this more obvious than in the track 'Infinite White' which is taken from Transformers: Revenge Of The Fallen. There are also elements of Lorne Balfe's score for the game Call of Duty: Modern Warfare 2 (again, Balfe worked under Zimmer early in his career) in tracks like 'Optimus vs Megatron'. 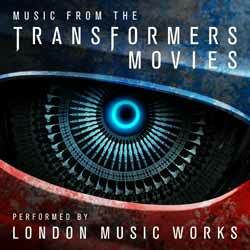 London Music Works do a magnificent job of reproducing Jablonsky's original music. In fact, if you don't own the originals, you'll be hard pressed to distinguish this from the original soundtrack recordings. There are some powerful and beautiful themes here. If you don't already own the original scores, this is a wonderful way of being introduced to Jablonsky's music. You're bound to want to buy the originals once you've heard what's on offer.